Phase II environmental investigations typically follow on from Phase I Assessments to investigate identified potential pollutant linkages and develop the preliminary risk assessment in accordance with CLR11 (Model Procedures for the Management of Land Contamination). In the case of development sites, the Phase II environmental investigation usually incorporates a geotechnical assessment in order to determine site specific parameters for foundation design, retaining walls etc. GEG always use UKAS accredited laboratories for chemical and geotechnical testing with MCERTS accredited tests where applicable. Generic and detailed risk assessments are undertaken using in-house soil screening criteria developed by GEG, enabling development of the preliminary risk assessment. Once completed, GEG's report incorporates an ‘options appraisal’ to ascertain the most cost effective and appropriate remedial solution (if required). The geotechnical assessment determines depth, type and bearing pressures for foundations, requirements for retaining structures and initial comments on slope stability/mining issues if appropriate. 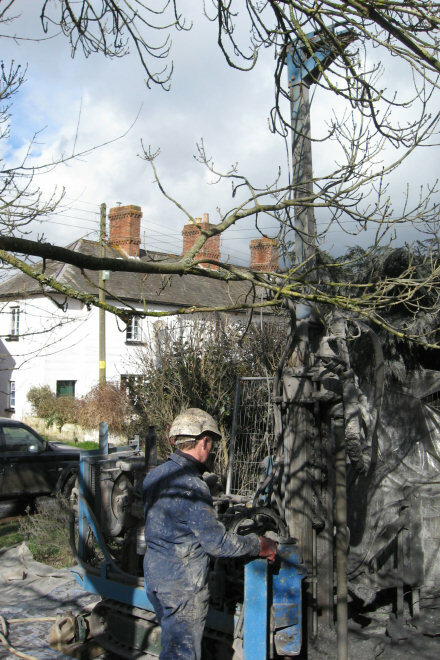 GEG have vast experience in the determination of the most cost effective remedial solutions for a wide range of sites from pestcide contaminated allotments and sewage works to gas and chemical works. GEG’s service includes remediation design, implementation and verification with regulatory liaison at each stage to ensure a smooth progression through the planning regime.